This month, Beauty Bylines™ explores the what it's like to be on Bobbi Brown's Elite Artistry Team with Kim Soane, Manager of Artistry at Bobbi Brown Cosmetics. Kim is an accomplished makeup artist, having worked in fashion, on celebrities, in print and TV. for beauty into something more? how intense is the training? to ensure that everyone’s skills are on point. communicated back to our artistry department. look to the backstage team, and then the creation begins! a Bobbi Brown Shimmer Brick. apply an even application all over the face using a foundation brush. It’s important to use a brush when you want medium to full coverage. remove the product and take away the extra coverage. what beauty products would we find? 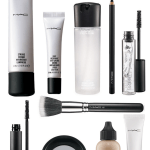 1) My collection of personal makeup. my skin will be in and of course- Rose Shimmer Brick- my favorite! of course, Rockstar eyeshadow- my latest favorite! you may need to re-cover. Sooo…..what would you find inside? stick, a Rose Shimmer Brick and Pink Brightening Gloss- that’s it! events, and writing and teaching artistry workshops throughout the US. 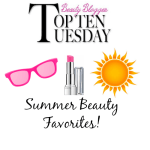 Renta, Carolina Herrera, Anne Klein, and Charles Nolan to name a few. Burch and Billie Jean King. Print credits include O Magazine, Elle Spain, Town & Country, Seventeen and People. 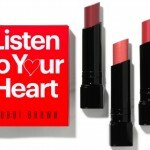 Kim is also leading workshops for the new Bobbi Brown Makeup Artistry Program at Emerson College in Boston.